The Howard Gardner Post 85 was named after Benjamin Howard Gardner, Jr., the only son of Judge Benjamin Howard Gardner and Carolina Bonner Gardner. Born on December 14, 1895, he was known as "Howard" to distinguish him from his father. He was commissioned as a second lieutenant in the Army after completing the training camp held at Leon Springs, Texas. Afterwards, he was immediately deployed to France, where he saw combat in the trenches. On March 7, 1918, he wrote in a letter home, "Mother, just think six months ago I sailed for France. Believe me, I hope six months from today I will sail for America. Whoever thought 1918 would catch me in France on the front. I have a seven day leave coming to me soon, and hope I can get permission to visit London. It will be the first rest I have had in France. Up to this time I haven't missed a single day from my duties. Have never been sick or anything." The family was notified on March 26 that he had been "slightly injured." They received another letter from him that explained his unit had been gassed by the Germans, but that his injuries weren't bad enough that he had to be sent to the hospital. After his death, the family received another letter stating that "Lt. Gardner was quite badly gassed at Siecheprey, and although some of the others no worse off than he went to the hospital, he would not go, but stayed with the Battalion." 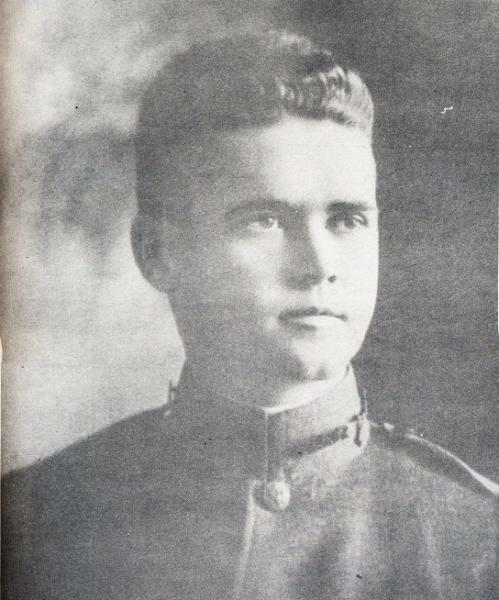 On July 18, 1918, during the second battle of the Marne at Soissons, Lt. Benjamin Howard Gardner, Jr. was killed by a sniper while leading his men in to combat. Initially buried at the American Cemetary, Ploisy, Aisne, France, his body was brought home to rest in 1921 after the war ended.